The professional strategies book provides the program leader/facilitator with clear and easy to follow guidelines for implementing the Peer Power Program. After an overview of the peer program philosophy, training structure, and goals, the leader's guide proceeds through the thirteen Modules that are found in the student Workbook. For each exercise in the student Workbook, this leader's guide provides instructions for introducing and implementing the exercise, time and material requirements, description of its purpose and goal, and application assignments. 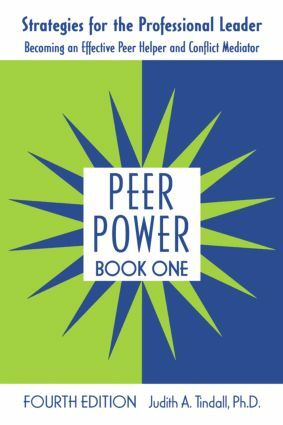 Equipped with the professional strategies book, the program leader (teacher, school counselor, juvenile center officer, mental health professional and human resource professional) can quickly and confidently work through the Peer Power curriculum.